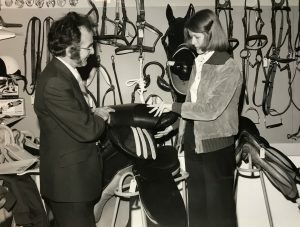 Shires Equestrian turns 50 this September. From humble beginnings, the company has evolved into a trusted household brand. 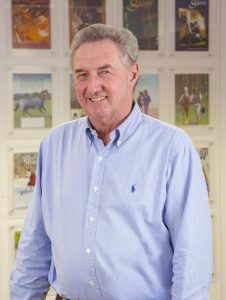 Malcolm Ainge, founder of Shires Equestrian, started the company in 1968 with only a small loan of stock to sell at cattle markets and racecourse auctions. Now the company has approximately 1,800 stockists worldwide and recently won BETA’s award for Trade Supplier of the Year for the second year in a row. Originally based in Pershore, it was Malcolm’s dedication to his customers that set the company on its way. Listening to feedback about the poor fit of some of the products currently in the market, Malcolm and his father-in-law, Phil White, realised that by diversifying they could produce a better quality of product for their customers. Using profits from sales, they purchased a sewing machine and designed a pattern for saddlecloths, before moving on to rugs. The rugs proved so popular they were soon selling all around the UK and Europe. From making rugs on a single sewing machine, in 1976 Shires made the move to a bigger factory in Bromyard. 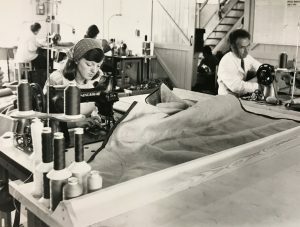 The company grew to a staff of 40 and began employing machinists to produce large quantities of Jute, New Zealand, Wool and Cotton Rugs. Today, Shires has a team of in-house designers and employs up to 400 people in their factory in China to keep up with demand. With complete control over the design, raw materials and manufacture, Shires can make quality products that are accessible to all horse riders. The company is also incredibly proud of its Royal Warrant, granted by HM The Queen in 2009 after supplying the Royal Stables for five years. Shires’ dedication to sustainability and ethical best practice helps them meet the standards required to maintain the warrant. The company supports the World Wildlife Fund as a member of the Leather Buyers Platform. The project aims to increase awareness about the impact of the leather industry on the River Ganges and improve sustainability. Shires also supports equestrian sport through their sponsored rider programme. British rider Matthew Wright recently joined Team Shires alongside fellow British, Irish, Canadian and American eventers. Even with their past success, Shires are looking toward the future and the next 50 years in the equestrian industry. ARMA leg protection and Moretta footwear are two new brands for Shires over the past couple of years. The success of these sparked further creativity and innovation as January 2018 saw the launch of a further two brands: Digby & Fox, offering dog products, and a new clothing brand, Aubrion, that embraces the outdoors with its competition and casual wear collections. 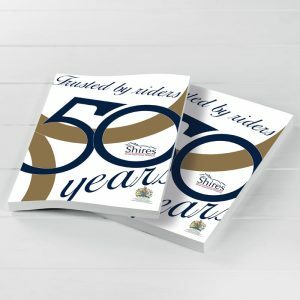 50 years is only the beginning for Shires Equestrian. The company is dedicated to being trusted by riders for years to come.